Gregor Kennedy is the Pro Vice-Chancellor (Educational Innovation) at the University of Melbourne and a Professor in the Centre for the Study of Higher Education. 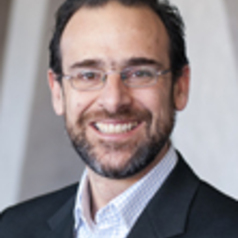 His current work involves leading the University of Melbourne's strategy in curriculum innovation and technology-enhanced teaching, learning and assessment, and undertaking research in the area of educational technology. Gregor has spent over 15 years conducting and overseeing research and development in educational technology in higher education. His research interests include university staff and students’ use of technology; interactivity, engagement and self-regulation in digital learning environments; the use of 3D immersive simulation for learning; and the use of learning analytics in educational research and evaluation.